W. M. “Mack” Dugger, Jr.
Dr. W. Mack Dugger Jr., a Riverside resident and prominent scientist, academic administrator and educator, passed away at his home on December 26, 2008. Mack was the fourth of five children and the only son born on July 28, 1919 to W. M. Dugger Sr. and Kate Hendry Dugger in the small Georgia town of Adel. He was educated in several small towns in Georgia and attended high school after his family moved to Atlanta when he was nine. He matriculated at the University of Georgia in Athens, majoring in soil science and botany. After completing a bachelor’s degree, he pursued graduate studies in plant physiology at the University of Wisconsin and was able to finish a Master’s degree before being inducted into the US Army (1942). In the infantry, he went through Officers Candidate School, becoming a 1st lieutenant and a company commander with various assignments in the American southeast and the Caribbean; this included artillery which, he believed, harmed his hearing. This experience in leadership would serve him well in the future when he became the founding Dean of the College of Biological and Agricultural Sciences at UC Riverside. Upon discharge from the Army (1946) Mack resumed graduate studies, completing the first Ph.D. (1950) in Botany ever awarded at North Carolina State University, Raleigh, NC. From this point on Mack’s career was in academe: assistant professor, University of Maryland (1950-1955), and associate professor at the University of Florida. In 1960, the former chair of his department at Florida, Walter Reuther, who then headed the Department of Horticulture in the School of Agriculture/Citrus Experiment Station at UC Riverside, recruited him for a research position in the Air Pollution Research Center. The Center’s research, financed by the citrus industry and Kaiser Steel Company, and under the direction of the plant physiologist C. Ray Thompson, was involved in studies of the effects of various air pollutants on plants. Working together with another plant physiologist, Clifton Taylor, several seminal papers were published. In fact, the work he did alone and with many others, such as I.P. Ting, gave him stature for the rest of his life. He was the first to ask what physiological shifts were caused by pollution, rather than just measuring the decline in plant productivity. The 1970 paper in Annual Reviews of Plant Physiology is still quoted and caused a shift in plant and air pollutant studies. The position in air pollution was a natural fit for Mack because of his interest in the physiological effects of toxic substances, such as boron, on plant growth. It is also noteworthy that Dugger’s is a name still recognized in the literature today for defining a metabolic role for boron as an essential plant nutrient. He was ahead of his time in his studies of boron’s role as it has just now been understood how it holds cell walls together. The Riverside campus had been established in 1954 as a small, liberal arts and science undergraduate college. This College of Letters and Sciences occupied land adjacent to the Agricultural Experiment Station/Citrus Research Center. By 1960, the College had been designated as a general campus with a mandate to develop graduate programs and offer graduate degrees. In 1963, Dugger moved into the Department of Life Sciences (later the Department of Biology) as Professor of Botany and Chair, with a mandate to develop graduate programs. During his tenure as chair (1963-1968) Dugger was involved in recruiting new faculty for the department and in this he set the highest standards, something he had always embraced in his research. He nurtured the professional development of many young researchers, including Irwin P. Ting, Robert L. Heath and Carol Lovatt, who all went on to become faculty members at UC Riverside, and provided guidance for numerous graduate students. Under his aegis, the Department of Biology was run democratically, but it never strayed very far from his guiding hand and his southern charm. Mack was a planner and a careful architect for the growth of the biological sciences both within and outside the Department of Biology and he left little to chance. As he often remarked before a decision had to be reached, he “had to have all of his ducks lined up.” This was accomplished by one-on-one meetings with junior and senior faculty in their offices, appearing often unannounced, and laying the groundwork for a particular programmatic offering he was endorsing. Some regarded his approach with the appellation “Mackiavellian.” It was a good-natured characterization of his effectiveness in persuading the naysayer to rise to the occasion for the greater good of the department and the faculty who he selflessly protected and guided. During this, period and later, Mack, together with his beloved wife Dot (to whom he was married for 46 years) were the social glue that held together not only the fabric of the Department of Biology but that of the Experiment Station as well. He and Dot reached out to the Riverside community as members of Town and Gown and for many years Mack was on the Executive Board of the Faculty-University Club. Dinners at the home of Dot and Mack were always convivial and with the younger faculty they often acted as surrogate parents. In 1968, Mack’s extraordinary academic leadership qualities were once again called upon. Chancellor Ivan Hinderaker had the idea that the strength of UC Riverside in the biological sciences could be enhanced substantially by an amalgamation of the Department of Biology with the College of Agriculture. Hinderaker recognized that for some faculty such a merger would be anathema: since 1954 there had been two camps, the ‘pragmatic farmers on the hill’ and the ‘pure academic Brahmins’ down in the flats in the College of Letters and Sciences. Hinderaker appointed a broad-based committee to study the feasibility of merger. The committee was chaired by Tim Prout (Biology) but its members were heavily weighted in agriculture: Nathaniel Coleman (Soils), Boysie Day (Horticulture), Don Chant (Biological Control); Mack, then chair of the Department of Biology, was also a member. The committee recommended merger to form a College of Biological and Agricultural Sciences. (The other science departments in the College of Letters and Sciences were later organized into a College of Physical Sciences). The new college needed a dean and Mack genuinely tried to convince Chancellor Hinderaker that he seek outside candidates for the position since this would permit the appointment of a person without “academic baggage”. Hinderaker rejected Mack’s entreaties and chose him. The choice was an inspired one and Mack served first as the dean of the College of Biological and Agricultural Sciences and later, when there was a merger of this College with Physical Sciences, as dean of the College of Natural and Agricultural Sciences. Yet it was not easy as the Agricultural community demanded that Hinderaker set up an advisory committee as they thought that he would eliminate agriculture since he was one of those “basic scientist types”. This committee still exists, but Mack made its role one of learning about basic science, to the betterment of the full College. Initially, Dugger’s appointment was regarded suspiciously throughout the University because he was not an ‘ag-type’ and he was not given the title of Associate Director of the Experiment Station. That was reserved for Boysie Day. 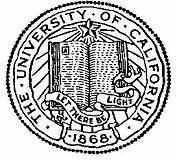 However, when Day moved to Berkeley to become the Director of the entire University of California Experiment Station (encompassing units at Davis, Berkeley and Riverside) Mack became associate director as well as dean. He appointed Lowell Lewis as his associate director with Lowell reporting directly to him. It was Mack’s decade-long background and experience at teaching and work at research universities in Maryland, Wisconsin, and Florida, as well as his familiarity with the Experiment Station that enabled him to steer a course between Scylla and Charybdis and, as he said, “of learning how not to do things.” Moreover, he had ideas aplenty for strengthening agricultural research as well as increasing the visibility and activities of the botanists in the Department of Biology, who it was said had been submerged in a sea of zoologists. Dugger assumed the position of dean with funding at 50% administration and 50% instruction and research. In other words, he would continue to teach classes in plant physiology and carry out research while attending to administrative matters. This allowed him to keep his feet in, what he believed, was the real ground of the University-teaching and research. During Dean Mack Dugger’s years, substantial changes were made in the teaching curriculum, in department organization and in leadership. Faculty in departments formerly in the College of Agriculture were encouraged to teach less parochial subjects and they did so without a whimper. The departments of Horticulture, Agronomy and Vegetable Crops were merged to form a single department (Plant Sciences) with a much broader and more integrated approach to problems agricultural. The botanists from the Department of Biology were transferred to the Department of Plant Sciences thus becoming the Department of Botany and Plant Sciences. The Biometrics Project became a Department of Statistics with a very charismatic leader, F. N. David. The Department of Soils was transformed into Soils and Environmental Sciences, Geography was incorporated into Geology and became the Department of Earth Sciences, the Department of Plant Biochemistry became Biochemistry-- it included health-related research using animals as well as plants. The fledgling computer science program was given life within the Department of Mathematics. The Botanic Gardens were strengthened and the UCR/UCLA Biomedical Sciences Program, a forerunner of a freestanding UC Riverside medical school, was established. Yet social life was never neglected and Mack established an annual New Faculty Reception. In all these efforts Mack ensured there was a nurturing academic and research environment. His choice of department chairs appeared to be democratic: he met with faculty individually in his office, often sitting side by side on his leather couch, hearing their observations and then noting the member’s vote on a small slip of paper. However, when he made his recommendation known to the department for appointment, he never revealed an actual vote count! In hiring new faculty he personally interviewed each and every candidate, and he encouraged departments to hire only the best and the brightest---usually young Ph.D.’s at the beginning of their careers and in whom he detected great promise. His practice was to support their research in every possible way and then to evaluate them rigorously as they climbed the academic ladder. The Office of the Dean was a team effort and included the associate deans, secretaries, administrative assistants, analysts and the like. It was an efficient and loyal group forming an extension of Mack’s philosophy regarding teaching and research in a top-tier university and without neglect of the role of practical research to society in a forward-looking academic institution. Mack set high standards for himself and expected the same of others. He fought fiercely and more often than not successfully for enhanced resources, facilities, faculty positions and for emerging programs. He treated all as equals frequently using a Georgia maxim: “he’s just like us; he puts his pants on one leg at a time”. When Mack relinquished his position as dean he did not rest on his laurels, instead he returned the Department of Botany and Plant Sciences where was actively involved in research and teaching until he formally retired from the University in 1990. During this time he became more active in the America Society of Plant Physiologists and served on their Board. There he tried to get the best to come to UCR, as speakers or to organize a course for a quarter. Martin Gibbs, a world-class plant physiologist, came for four years in a row and, with Mack, started the Yearly Symposium in Plant Physiology, which is still being run today, even if not yearly. After retirement, he served as the President of the University Club and was active in many of the emeriti activities. He was honored with UCR’s prestigious Emeritus Faculty Award for 1996-97. Mack Dugger said he enjoyed every endeavor at UC Riverside and he contributed greatly not only to the campus both scientifically and administratively, but to the entire University of California, and he did it all without ostentation. A proud Eagle Scout and a force to be reckoned with on the handball court, he had a fondness for Laguna Beach, good bourbon and his home gardening. He is survived by his son Thomas Mack Dugger of Burbank, daughter Lucinda Jensen of Riverside, granddaughters Claire Dugger, Brynn and Kyra Jensen and sister Mollie Kate Ward of Georgia.